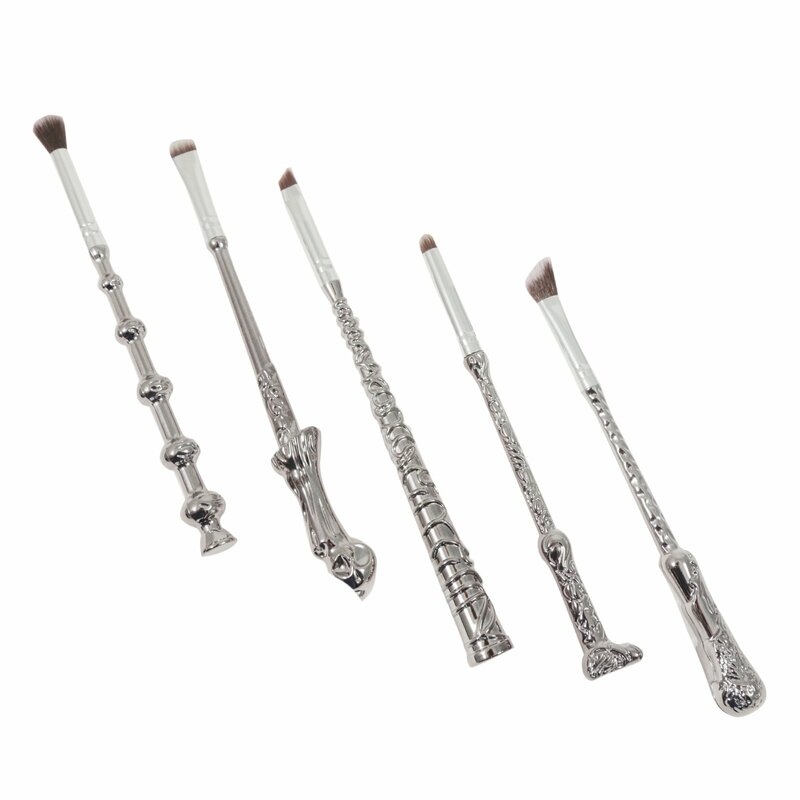 Add some magic to your make up game with the 5pc Wizard Wand Make Up Brushes! This set of make up brushes comes with 5 different tips so you'll be able to do your full face routine. The brushes each feature a different wizard wand design, and the shiny silver color of the handles is sure to stand out. Make sure to grab this magical set of make up brushes before they run out!